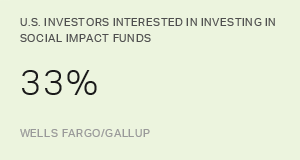 WASHINGTON, D.C. -- U.S. investors' confidence about funding their retirement hasn't changed much over the past year, despite broad stock market gains. 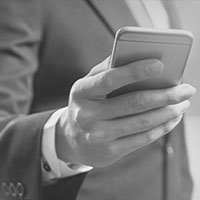 A third of investors, 34%, similar to 31% a year ago, say they are "highly confident" they will have enough money to maintain their preferred lifestyle throughout retirement. Still, this is better than four years ago -- in 2014, barely a quarter were highly confident. Considering all funding sources you may have in retirement, including retirement savings and Social Security, how confident are you that you will have enough money to maintain the lifestyle you want throughout your retirement? Another four in 10 investors today describe themselves as "somewhat confident" they will be able to maintain the lifestyle they want throughout retirement, bringing total confidence to 77%. Roughly one in five investors, 21%, are "not too confident" or "not confident at all." The latest results are based on the first-quarter Wells Fargo/Gallup Investor and Retirement Optimism Index survey, conducted Feb. 12-25, 2018. For this survey, U.S. investors are defined as adults with $10,000 or more invested in stocks, bonds or mutual funds, either within or outside a retirement savings account. In the year between the first-quarter 2017 and 2018 surveys, the Dow Jones industrial average rose roughly 21%. However, offsetting this potential boost to investors' spirits, the 2018 poll was conducted shortly after a brief market correction at the start of February while the market was partially recovering. It has since continued to be volatile. 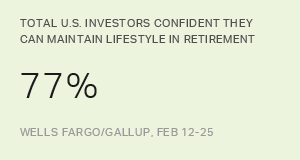 Each of the three times that the Wells Fargo/Gallup survey has asked investors about their outlook for maintaining their preferred lifestyle in retirement, currently retired investors have been significantly more confident than nonretired investors. This year, 48% of retirees versus 28% of nonretirees feel highly confident about maintaining their lifestyle. Among both retired and nonretired investors, men are more likely than women to be highly confident about maintaining their lifestyle in retirement. Among nonretired investors, 33% of men and 22% of women are highly confident. Among retired investors, 54% of men and 44% of women say the same. As would be expected, confidence in retirement funding is higher among investors with $100,000 or more invested than among those with less than $100,000 -- and it is particularly high among retired investors with $100,000 or more invested. Among nonretired investors, those who report having a written financial plan that guides their investment decision-making have higher confidence in their retirement funding than do those without a plan (35% vs. 23%, respectively). Retirees' confidence, however, isn't affected by having such a plan. At the same time, retired and nonretired investors are no more likely to be highly confident on this measure if they have a personal adviser who works with them on their financial decision-making. Investors' overall confidence in their ability to afford their preferred retirement lifestyle improved somewhat between 2014 and 2017, but it hasn't since, despite sharp growth in the stock market that has surely helped most investors' portfolios. If any group of Americans is going to feel more confident about funding retirement, it should be investors -- those who have made at least some headway accumulating wealth in the markets. Whether they are confident is a matter of perspective. With only 34% highly confident, the remaining 66% may need to increase their savings, get more help with financial planning or seek reassurance that their investments will grow. 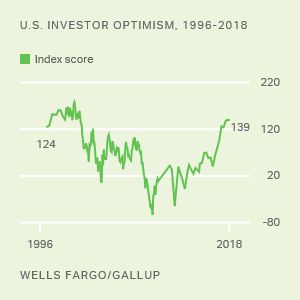 Results for the Wells Fargo/Gallup Investor and Retirement Optimism Index survey are based on telephone interviews conducted Feb. 12-25, 2018, on the Gallup U.S. Daily survey, with a random sample of 1,321 adults, aged 18 and older, living in all 50 U.S. states and the District of Columbia having investments of $10,000 or more. For results based on the total sample of investors, the margin of sampling error is ±3 percentage points at the 95% confidence level. All reported margins of sampling error include computed design effects for weighting. Most U.S. investors know little, if anything, about the concept of "social impact investing," but a third are at least somewhat interested in investing in these funds.